Chinese Passenger Train Tops 300 MPH In Test : The Two-Way A Chinese passenger train hit a speed of 302 miles per hour (486 kilometers per hour) during a test run Friday on a route between Beijing and Shanghai that is expected to open in 2012. A Chinese passenger train hit a speed of 302 miles per hour (486 kilometers per hour) during a test run Friday on a route between Beijing and Shanghai that is expected to open in 2012. 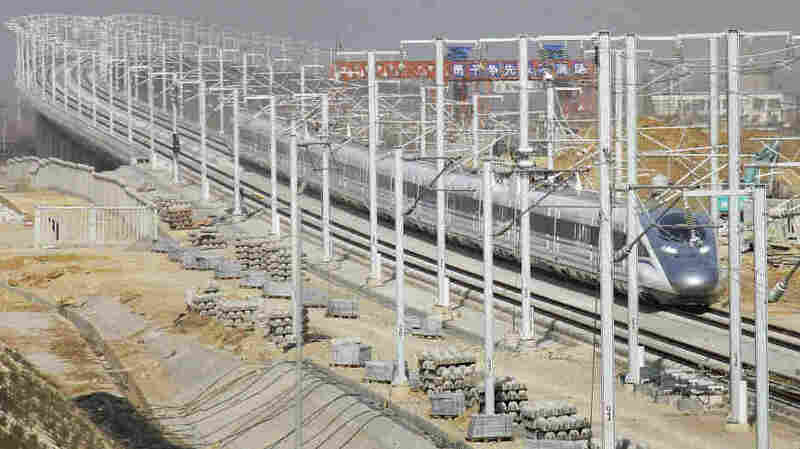 China's Xinhua News Agency said it was a record for an unmodified, conventional commercial train.